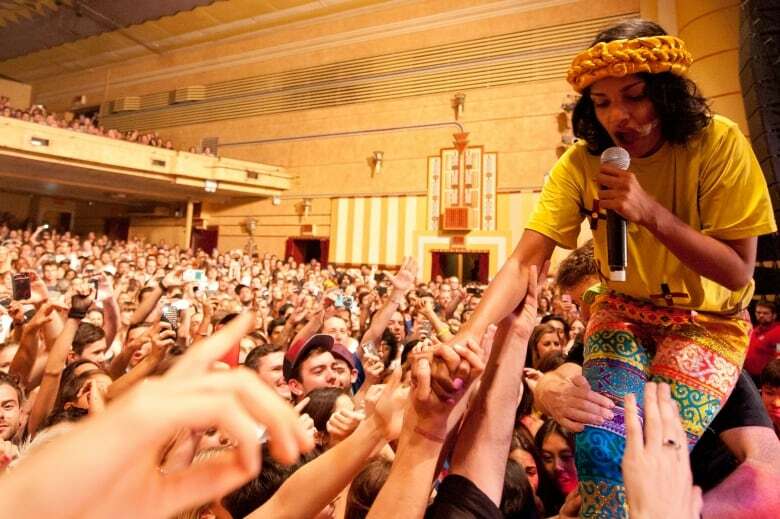 What was supposed to be a music documentary, ended up being an in-depth, intimate look at M.I.A.’s journey from war torn Sri Lanka to international stardom. "Are you sure Steve shouldn't be in this interview?," M.I.A. said when I asked her how her new documentary came together. It was a fair question because, technically, the 43-year-old pop star had nothing to do with the making of Stephen Loveridge's film, Matangi/Maya/M.I.A. But she was very much a driving force throughout the creation process thanks to more than 700 hours of personal video footage she handed over to the director eight years ago. "When I handed the tapes over in 2011, I wanted to make an in-depth documentary about the Maya album, just because I had so much visual content around it and I felt that it was misunderstood," M.I.A said. What was supposed to be a music documentary ended up being an in-depth, intimate look at M.I.A. 's journey from war-torn Sri Lanka to international stardom. For critics who have long questioned the motivation behind her activism, the film provides clarity on why M.I.A. has refused to let her political voice be silenced. At the beginning of the documentary, Loveridge jokingly asks M.I.A. : "Why are you problematic?" From the moment she burst onto the music scene in 2004, M.I.A. 's voice has been unapologetically fierce and fiercely unapologetic. Stirring controversy with her lyrics and her music videos, that "problematic" persona took hold almost instantly. Before M.I.A. 's first album was even released, MTV banned the video for her song Sunshowers because she refused to remove the lyrics "You wanna go? You wanna win a war? Like PLO, I don't surrendo!" That was essentially the first bell sounding off in M.I.A. 's long fight with the media over accusations of supporting terrorism. Not one to back down, M.I.A. played with that perception, using Tamil Tiger imagery in the video for her song Galang, and putting bombs, tanks and AK-47 rifles on the cover of her first album, Arular, which itself was a nod to her father, Arul Pragasam. Also known as "Arular" in Sri Lanka, Pragasam has often been confused as one of the founders of the Tamil Tigers, recognized by Canada as a terrorist organization. "People write it because it's easy," M.I.A. told the Guardian in 2005. Pragasam was, in fact, one of a group of university students that founded the initial Tamil resistance that was later absorbed by the more militant Tigers in the lead-up to Sri Lanka's 25 year civil war. "I remember not being conscious of the fact that you're Tamil and then suddenly being really conscious of it because the war just started," said M.I.A., who was forced to flee Sri Lanka when she was just 10 years old. She described "having to uproot yourself, get on a plane, go to the detention centre, get put in hostels — you know, wait to be housed for months and go through the whole refugee bureaucracy thing, and then setting up a new life in a different country." Would a "person like me" (non amrican who wants to talk about other cultures) get signed these days in THE MUSIC INDUSTRY? "It was the first time England opened its borders to [Sri Lankan] refugees and I was like the first kind of batch," she said. "It was just like learning that, 'Oh you're something else,' and it's not even the thing that you really are. You're just sort of lumped in this category of brown," she said. "Then, it's kind of each time you move, the boundaries change on the identity. I learned that pretty quickly from very young." "I didn't like hearing the message that my cousin might be alive or he might be dead and nobody knew," she said. "I felt really guilty," M.I.A. continued. "My favourite cousin had to make that decision to fight for his people and I was … just graduating with a fine art degree and I didn't know what to do with it. I needed to go and investigate." "I think every day there was a new event. And I was learning new things and it kept expanding. And that was the first time I felt really connected to back home in Sri Lanka, and the concept of people like me and people my age and what they were doing there [during the war]." That's effectively the origin story of Arulpragasam's stage name, M.I.A. It's a nod to the cousin she never found and the people she left behind. She made it her purpose to tell the world what was happening to Tamils in Sri Lanka, culminating with her most controversial video to date, Born Free. Directed by Romain Gavras, the nine-minute feature was temporarily banned from YouTube for its graphic nature. It was M.I.A. 's way of recreating real, uncensored videos of executions in Sri Lanka, replacing Tamils with redheads in America to get her message across. 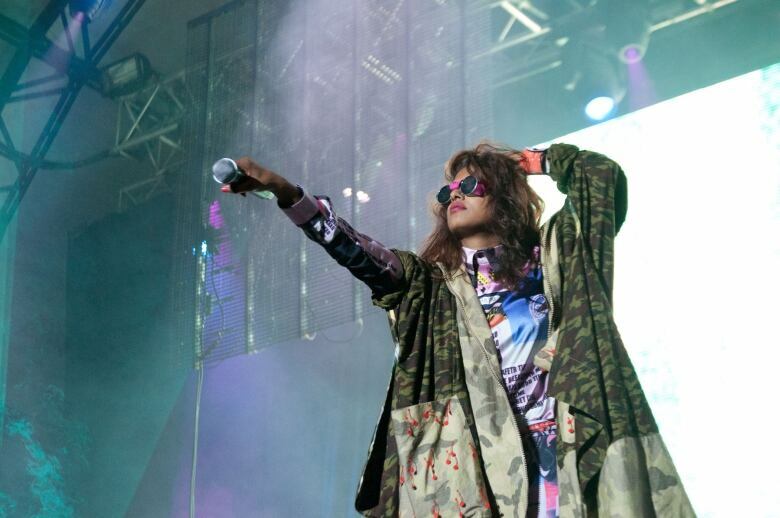 As the spotlight on her grew bigger, so too did M.I.A. 's drive to stand up for the causes she believes in. From the global migrant crisis (in her video for Borders), to women driving in Saudi Arabia (in her video for Bad Girls), M.I.A. has never passed up the opportunity to make a statement. Throughout her controversial career, what remains at the core of M.I.A. 's music and activism is her life as a Tamil refugee who grew up in London. "People make it out that it's a dirty word, and being a refugee or being an immigrant is like this thing that you shouldn't speak about," said M.I.A..
"I quite like speaking about it because I like the nature of what you can draw from. My thing is that I'm proud. You know, I've always been proud of it.… I'm an artist that draws on real life and real experiences."